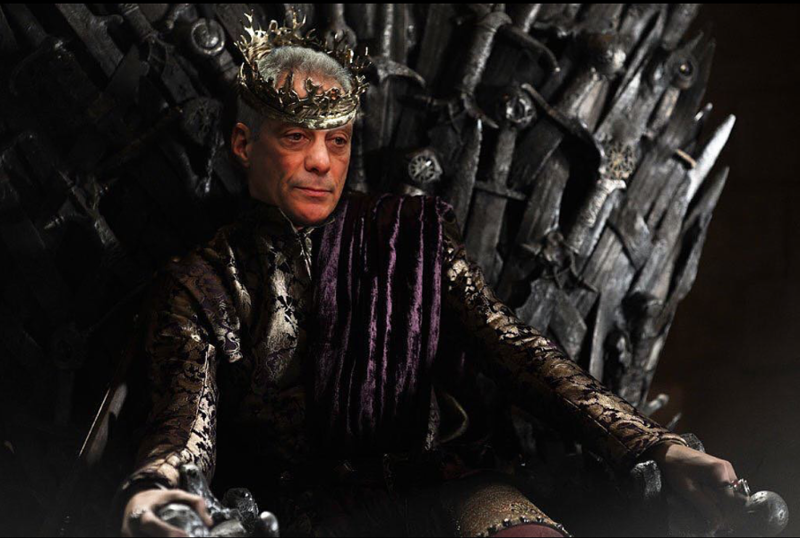 Rahm Emanuel has opted out of the Game of Thrones in Chicago. In a surprise decision, Mayor Rahm Emanuel has announced he won't seek a third term in office. Rahm Emanuel ducked out of City Hall alone on Tuesday afternoon, his usual security detail walking slightly ahead of him. Across the street at Daley Plaza, 150 or so activists had gathered to celebrate his vanquishing at an event called "Celebrate the End of Rahm Emanuel’s Reign of Terror" on Facebook. He didn't appear to notice. Instead, he stopped to offer a friendly gesture to a random passerby while strolling hastily down LaSalle. "Farewell, good luck," said the man at the other end of the mayor's index finger. "You too, man. You too," Rahm replied before strolling to his car. The calm, matter-of-fact way that Rahm's rule is coming to an ending is shocking—particularly so if you compare it to the mood of eight years ago. In 2010, Obama's former chief of staff returned to Chicago from the White House poised as a conquering hero ready to assume his rightful place on the throne. But those paying close attention have noticed how the cracks in the foundation of Emanuel's personal kingdom have grown into chasms over the last few years. And more broadly, we're seeing symptoms of the creeping national decline of a kind of technocratic centrism practiced by the Clinton and Obama machine over the last 25 years. Rahm has served as neoliberalism's Machiavelli over that time, perfecting a cynical "Just win, baby" philosophy of politics that meant making the Democratic Party rain with Wall Street cash, whipping up fear about your opponent, and then campaigning (and governing) slightly to the left of him or her. There's no one distinctly to the right of him in this crowded mayoral race (Garry McCarthy is probably a wash), which is why Rahm frequently jabs at Trump, the Democratic Party's favorite foil. In his press conference on Tuesday morning, Emanuel wasn't explicit about why he was suddenly skipping a shot at a third term. As many in the commentariat have noted, the timing coincided with the start of the Jason Van Dyke trial this week. It's the latest high-profile chapter in a case that still looms large three years since news broke of a possible cover-up of the police officer's killing of 17-year old Laquan McDonald. Others cheekily joked that Rahm's departure showed the power of a dis track from Chance, who recently rapped: "And Rahm, you done, I'm expectin' resignation / An open investigation on all of these paid vacations for murderers." No disrespect to Chicago's favorite son, but the reason for Rahm's retreat may be more far-reaching than a rap beef. It's the fact that the mayor's already thin base of support is vanishing. Sure, a recent poll bankrolled by one of Emanuel's many high-powered capitalist friends claimed that the mayor had more than a puncher's chance of reelection. But multiple polls conducted earlier in the year for mayoral hopefuls Garry McCarthy and Lori Lightfoot weren't so rosy for Rahm. McCarthy's numbers had Emanuel's job performance rating at just 32 percent, and Lightfoot's showed that just 31 percent of 800 Chicago voters said they would vote to reelect him. Sixty-two percent of those voters said they wanted anybody but Rahm in 2019. Those are numbers that don't bode well for someone whom David Axelrod—one of the mayor's closest friends—once described as a "heat-seeking missile" for his ability to win elections. Axelrod, something of a Rahm whisperer, says his old Clinton-administration buddy believed he could have won the election but may not have wanted four more years of fighting municipal battles and presiding over an increasingly polarized electorate. The cops and old-guard John Kass-style conservatives think he's too liberal. The socialism-friendly younger generation of progressives see him as Mayor 1%, and he's no stranger to protests himself. What's a guy devoted to postpartisan Third Way-style triangulation to do? The real canary in the coal mine could be heard squawking last week in the form of 40th Ward alderman Pat O'Connor, Emanuel's City Council floor leader. In an interview with the Sun-Times, O'Connor said he was considering retiring from politics—especially if Rahm declined to saddle up for another term. O'Connor cited myriad reasons for retirement but the one that stuck out was what he sees as the lack of moderation in Chicago. "On the right, we criticize them for being conservative to the point of being abusive and intolerant and you can't have an opinion that is different than theirs. And on the far left, it's the exact same persona with just different values," O'Connor said. "You've got Bernie Sanders. You've got the Chuy [Garcia] phenomenon . . . Whoever thought you'd be able to say, 'I'm a Democratic Socialist,' and people would say, 'That's a good thing.' 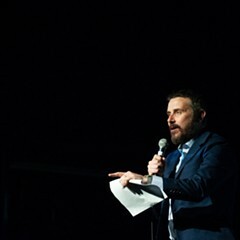 Any mayor is gonna have their hands full moving forward as long as the country continues to move forward on this path." O'Connor's musings echo Emanuel's belief that what's conventionally referred to as America's political "center" must hold because it's the wise way of bloodless pragmatism. The left and right are childish, blinded by ideology. "Winning's everything," Rahm told a graduating class at Stanford last year. "Sometimes you just got to win. OK? Our party likes to be right even if they lose." 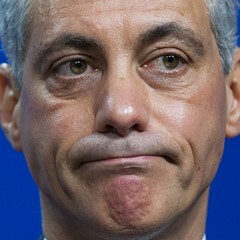 It's as if Rahm is still coasting on his ruthless reputation of being the Michael Jordan of winning elections for himself and the Democratic Party. It's not that the moderate is dead. If the funeral of John McCain taught us anything, it's that there's still a powerful core of Republicans and Democrats and corporate media—owned and funded by the plutocrat class—that are committed to the idea that politics isn't defined as much by good policy as dignified statesmanship. In death, McCain has become the patron saint of bipartisanship, a kind of elite consensus that in the past three decades has meant advancing an agenda of austerity for the poor, welfare for the rich, the growth of the carceral and mass surveillance state, and endless warfare and economic colonization overseas. Establishment Democrats and Republicans represent variations of the singular party of corporate capital. But the writing may be on the wall for the so-called moderate. Throughout the world, elections are frequently being won by right-wing reactionaries or reform-minded leftists. In 2016, Rahm's former teammate Hillary Clinton, the pragmatic centrist (and quite possibly the most qualified candidate of all time) lost to a bumbling, racist reality TV host in the presidential race. Rahm's well-funded allies in the City Council are beginning to lose or an in danger of getting the boot in favor of progressives in the near future. Just ask the Burke brothers. This summer, Alexandria Ocasio-Cortez showed that you can be right about policies like Medicare for All, a universal jobs guarantee, and free college, and still win. And it's striking how on the same day that Emanuel bowed out of the Chicago mayoral race, a progressive black woman in the Massachusetts congressional race named Ayanna Pressley ousted a ten-term Democrat who supported a "Blue Lives Matter" bill. Maybe there's a better historical metaphor than Machiavelli here. Perhaps Emanuel is like Julius Caesar, the ambitious field general who saw the dysfunction of the Republic and decided to rule Rome as a dictatorship. But unlike Caesar, our mayor anticipated the Ides of the March election and quit before the knives of the voters could be turned against him.